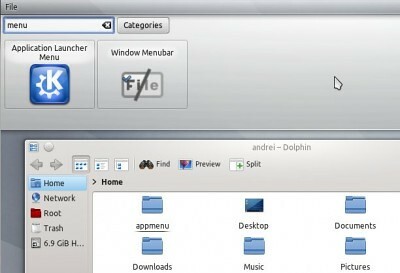 AppMenu Runner is a smart menu HUD style that not only looks like HUD but uses the same technology it uses and which was developed by Alex Fiestas 7 months ago, making an application to HUD AppMenu like Runner and not the other but was "abandoned" for technical reasons that made ​​AppMenu Runner a unique tool applications KDE . Runner AppMenu could be available for version 4.9 of KDE should be accepted by the development team Plasma, anyway, here are a small sample of what might be using KDE users in a short time, sample the vision and the great effort that the team put in your KDE desktop environment. It is important to note that AppMenu Runner does not work unless this menu is not showing in the window , so you have to include 'Window Menubar' to a panel or install 'Oxygen Appmenu' to ensure the functioning of the application . Now logout and login back. 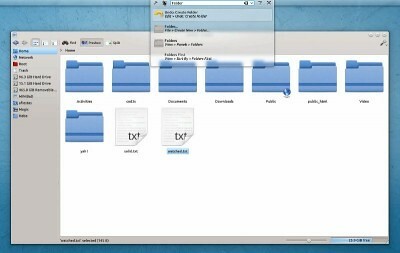 To use KRunner AppMenu, Select an application and press Alt+F2 and type you want to perform. No Comment to " Install KRunner AppMenu under Kubuntu 11.10/12.04 "